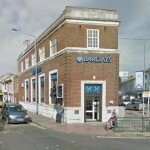 Squatters calling themselves the Radical Bank of Brighton of Hove have been ordered to vacate a former Barclays branch at Preston Circus. At Brighton County Court today (Tuesday 16 June) a judge granted Barclays a possession order for the premises. Some of those occupying the disused bank branch held a protest outside the court although, initially, they protested outside the wrong court. They first went to Brighton Magistrates’ Court instead of the neighbouring county court. After the judge’s verdict they regrouped ready to make a withdrawal. As a group they should also be punished for criminal damage. Yeah, but being held accountable for your actions is, like so not trendy and totally authoritarian and fascist…. You’re more than welcome to drop by and see all of the ‘criminal damage’ that was done by painting over graffiti, removing 80 bin bags of rubbish, repairing holes in walls, fixing electrics and plumbing, deep cleaning, having the fire service inspect the building and provide smoke alarms and advice, and boarding over broken windows. There are 1.5 million empty buildings being left to rot in the UK, that’s criminal. It’s easy to show conviction from behind your screen. Try doing something of substance, try at least looking into a homeless person’s eyes instead of just ignoring them, then cast your judgement. Dear Brighton & Hove – What a truly lovely space with enlightened people doing in actual fact a really great thing where everyone is welcome. It does beg the question why have we tolerated for so long a system that is impoverishing and destroying us all. Everyone who has paid or pays rent which in actual fact is dead money to a landlord or council will fully appreciate that finding that hard cash in these days of zero hour contracts and a cashless society is becoming ever more difficult. With nothing to show for 30 years of hard work I find it hard to understand why our labour and time is still lining the pockets of those already better off than all of us put together. People are either ruthless in order to gain control money power or unwittingly defending the actions of the warmongering elite. Oh by the way you have no actual choice whatsoever over the goods and services council tax money buys either so Get real we all work hard In fact if Brighton does not change things what hope is there? I have no idea how anyone can be cynical and facetious about this. 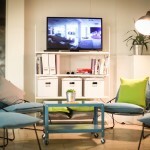 The building was just one of hundreds of nests for a multi-national corporation to which money was exclusively a 7-digit affair turned into an honest helping-hand for those who can’t get the change together for a sandwich.